Motor City Classics Silver Streak Aluminum Camper 1:18 Scale Diecast Model M88101 - California Car Cover Co.
Back by popular demand for a limited, second edition run! 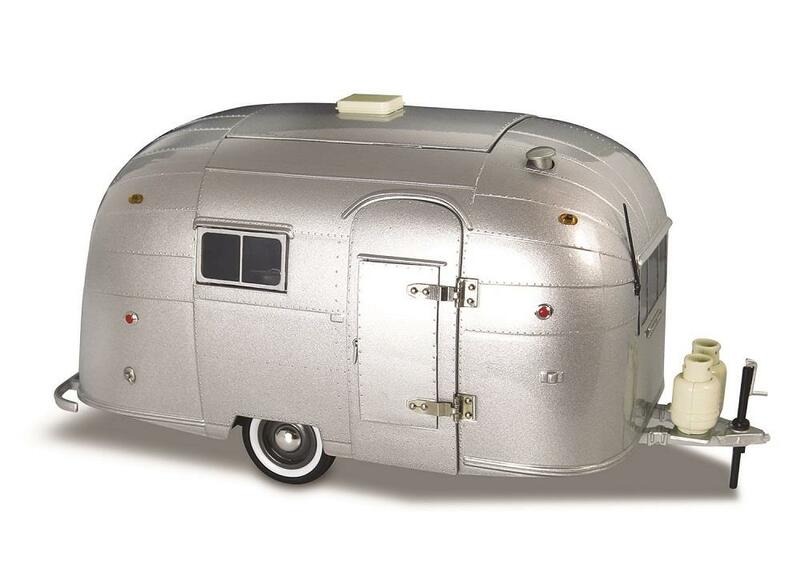 The 1948 Silver Streak aluminum-body trailer was one of the finest produced in the heyday of the unique style of camper. This 1:18 scale diecast replica has a real opening door, screen and top hatch. The entire top can be removed to reveal the bed, sink, mirrored interior, door and stove.